Welcome back to another one of my blog posts. 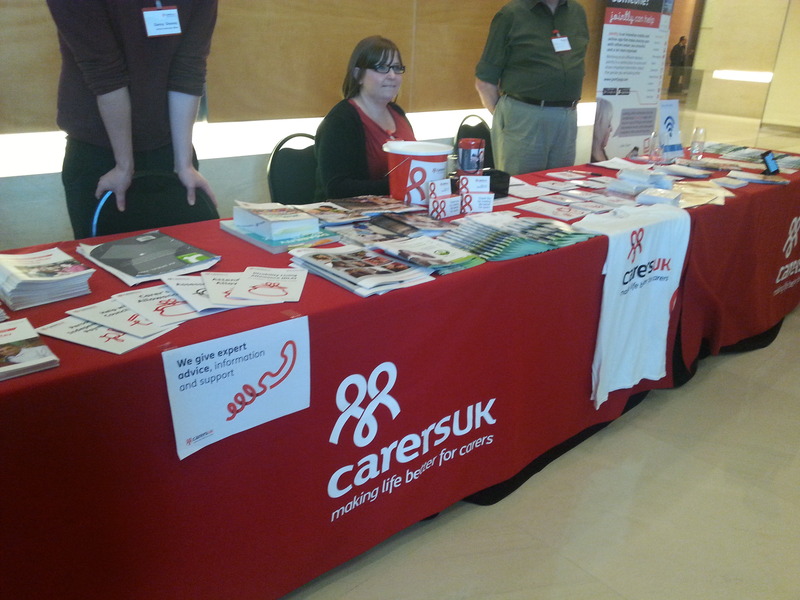 I guess I have not done a carers post for a while, so it seems fitting to do a post on the CarersUK National Carers Summit, which was held on the 13th of Novemeber 2014. 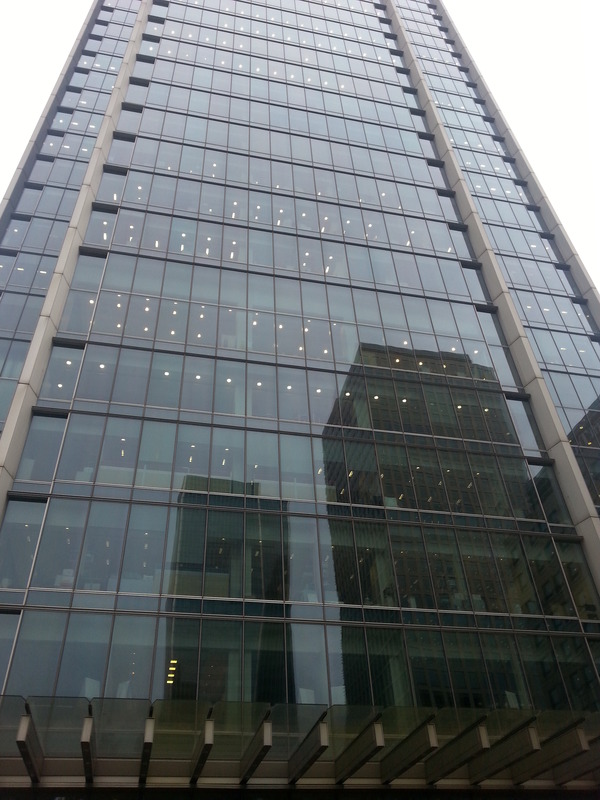 This was an impressive Summit and I do admit the Clifford Chance building is certainly stylish. I am sure I may have mentioned CarersUK in one or two of my posts already and you might have actually seen the CarersUK link off my carers site list, but if you are still not sure what is CarersUK all about. Let me point out a bit about the organisation. Basically in a nutshell CarersUK give expert advice, information and support to all different types of carers, but not only that. CarersUK fundraise, the lobby the UK government, raise awareness of carers and try to support other carers to get involved in the carers movement. Here is a brief video about CarersUK. “You do not have to care alone” or “If only I had known” and many more important motto’s for carers. 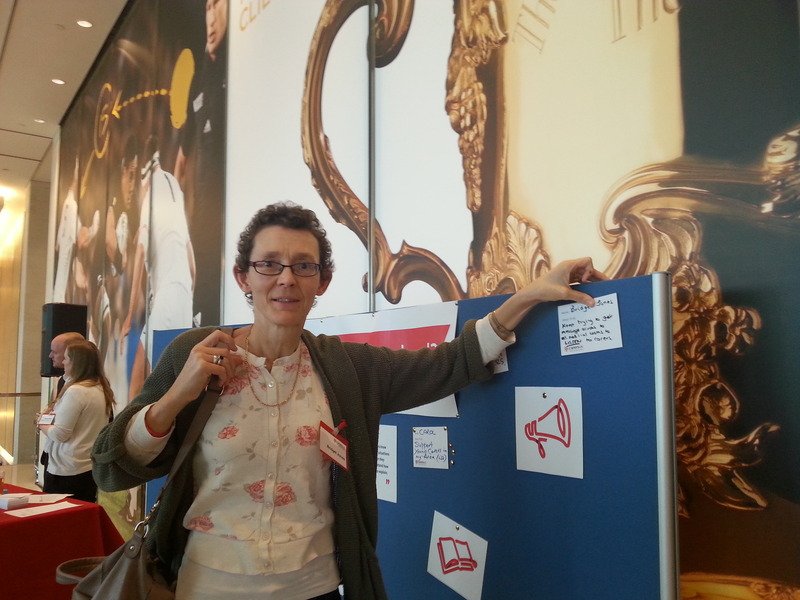 Now, I am a member of CarersUK myself and often pop on to their carers forum every so often. I have even phoned CarersUK for advice and even if I did not get the advice I could have hoped for, then at least someone was on the other line who at least listened to me. So why did I decide to take some of my precious carer’s time and head off the their national summit or AGM? Well there were several reasons. 1. CarersUK is BIG, if you have been a carer for a while then you should have heard of them. 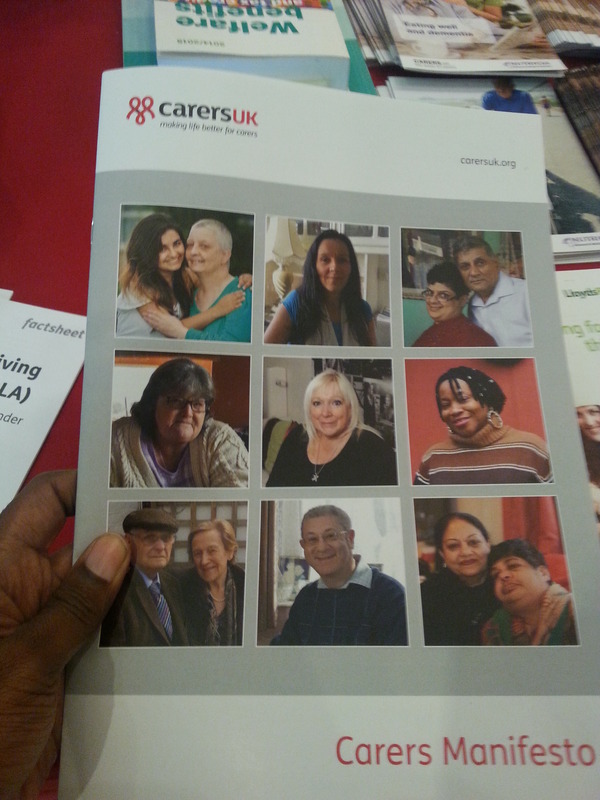 I was very curious to see what CarersUK have been up to and wanted to experience what their AGM was like. 2. I also wanted to meet and see how many other carers turn up, I felt if there was a chance to form a network or make a connection then it has to be at this event. I have to be honest and state it is not so easy to get a majority of carers in one place. Why is this? Carers just do not have the time. Time for one thing is a precious commodity for carers, but if I at least shook a hand of another carer or spoke to a carer then at least I felt I was not alone. 3. Other reasons I wanted to attend the event is to gain information and to be part of the special occasion. I could not attend the previous event because it was fully booked, I was not happy about this, but this time I was not going to miss this AGM. I did not specifically go there to ask questions, I felt it was just nice to be there and feel part of the carers movement, it was nice to belong and to not feel alone any more. There were numerous others of reasons why I wanted to be there, but anyway what happened at the AGM? What could I remember? Well I met up with long time carer and carer representative Bridget Jones who has been working so hard in the field to spread carer awareness at the mental health trust South London and Maudsley, both Bridget and myself planned to attend the event a while back. Bridget and myself were so excited to visit the building and hear of any new developments, but in the back of my mind I knew there were going to be some difficult questions asked of CarersUK. For one I have noticed the austerity measures and cuts beginning to bite into social care. The thing is, carers are trying to protect the vulnerable, which is their loved ones, but such cuts, bedroom tax and austerity measures always hits the vulnerable first. As I walked into the building and collected my pass, I was impressed by the space and size of the area. The staff were welcoming and very friendly, I even bumped into fellow South London & Maudsley carer Governor Angela Flood, plus I also managed to shake hands with Heléna Herklots who is the CarersUK CEO as she greeted other carers into the auditorium, which I felt was one of the highlights since I know CEOs of big organisations can be distance or very busy to notice everyone. Eventually Brigdet, Angela and myself sat down to hear the welcome from Professor David Greyson the chairman of CarersUK. He gave a very good speech, but a fair bit of my attention was on other carers and the surroundings. I also noticed some excellent and very challenging questions about the financial situation of carers. – CarersUK have also made an impact on the Care act by getting parent carers included in the care act. – It has also been a difficult year, as I have mentioned before. A lot of carers have been hit by bedroom tax, social care cuts and more cuts are on the way. One thing that kept popping up at the AGM is that a number of CarersUK centers have closed due to limited funds or not being able to adapt systems CarersUK has tried to set up. It is important that carers who have had issues with CarersUK had to be heard and to be honest I expected the tough questions and statements to be raised at the AGM. We then had a 10 minute break where I spoke the Emily Holzhausen who is the director of policy and public affairs for CarersUK. I have met Emily quite a few times and she has spoken at the SLaM family and carers listening event a few times. I can certainly say that Emily works very hard for carers since it can be difficult to get someone of her stature to speak at such NHS trust events. 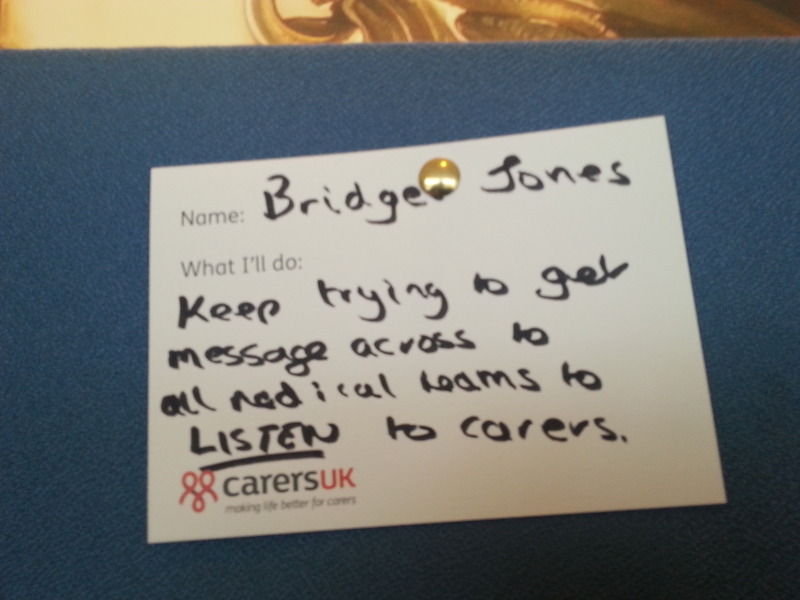 I also took time to make a pledge off the carersUK pledge wall and hoped to do just a bit more for CarersUK, but I know my time is very limited since not only am I still caring, but having to hold down a job and push forward carer awareness in South London and sometimes beyond. After the break we got to hear from more carer questions and I noticed another carer Kelvin Wheelan asking some interesting, but tough questions at the CarersUK board. There were also questions of the trustee members and stating if they represented carers on their gender and race, which is a very difficult balance, but I did agree with the counter argument that if there were such criticisms then other carers should put themselves forward. Next to present was Gavin Macgregor Director of communications and Engagement, plus we heard from Rucksana Mahmood who is the local ambassador in Glasgow and a member of the Carers Scotland Committee. We also heard from Denise Lee who is one of the CarersUK Adviceline volunteer who spoke passionately about her role to carers. We also got to listen to Caroline Toll who is another CarersUK ambassador in Somerset. Unfortunately I could not stay long for the carersUK AGM, but I did get to listen to several poems from Cheryl Moskowitz and also from the short story winner Val Ormrod. As I write this blog now, I can still hear their voices as they read out their stories and poems from the AGM. However, this blog is not mainly about what happened at the AGM, I wanted to put my 2 cents about the carers movement, I want to put my feet on the side of the fence, but which side? 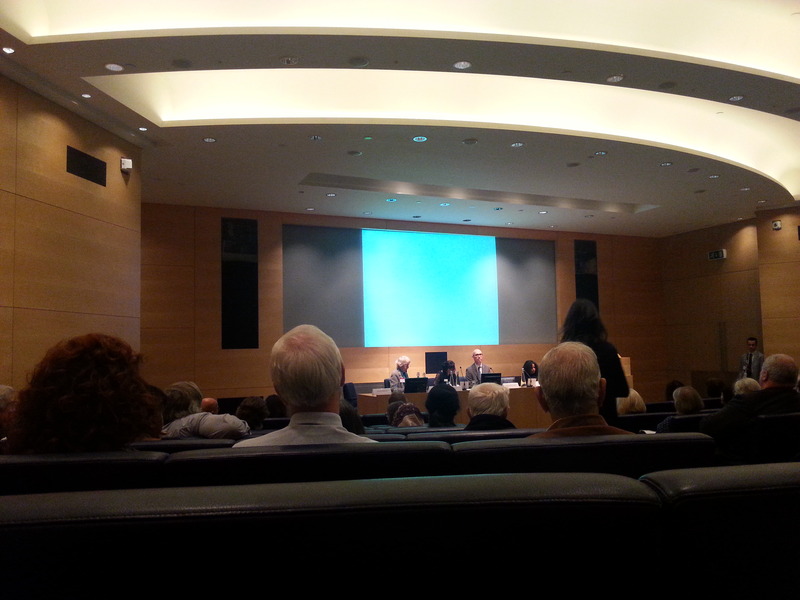 Well throughout the AGM, I did hear tough questions being asked of CarersUK. The thing is big organisations have big responsibilities and I do notice CarersUK shoulders are broad, but I also know that carers can complain and are not always silent as one may notice. There are of course millions of carers who are isolated and do not know of their role or do not get any support, but I could not help notice some unfair questions being thrown at CarersUK. Yes, I am sure some of the CarersUK staff get paid well for what they do, but I still feel that job is not the easiest of roles. I also notice CarersUK need support as well, but from who? you ve guessed it, us carers. It is a shame that carers in the UK have to muster up more energy and determination to help the carers movement, but I feel its not just any carer can take up that role. I feel it takes a carer who has the energy, spirit and heart to give not only care for their loved ones, but also to support their carer organisation or centers. If I was talking about the banker movement, then yes, it would be far easier for other bankers to support their financial sector, but alas it is us carers having to spread the message. Its not that CarersUK is forcing people to help in the movement, but I am aware that if we are to be heard on our struggles then we all need to work together, but I am aware that the system does not work for all carers and there will be tough decisions ahead. Carers will be let down and yes CarersUK have struggled to be there for some carers, but I also know resources are hard to come by. So I guess the side of the fence I am sitting on is to support CarersUK. I feel it does no good complaining about them or blaming them for too many things, which of course some things are clearly out of their control. Plus thinking back to the AGM, I cannot remember any carer in the audience thanking carersUK for their hard work that they have done so far, although I could be wrong since I had to leave around lunch time. Overall I was impressed with the AGM and I felt all speakers spoke from their heart, which is what I want to hear most of all. I want to see the passion in the movement, I also want to see carers rally to support not just carersUK, but many other carers organisations as well. I want carers to link up and support other carers. Us carers can support fellow carers by listening, giving advice and pointing to other carers where to find good resources. I wish to thank all CarersUK staff for running a successful AGM, which kept to its time limit and keeping my interest (which is not an easy thing to do). Us carers need to connected more than ever now because we are at risk due to cuts and the care bill although promising has not been tested in an uncertain society. With big changes in politics, the NHS and the community, we need the big organisations that cannot be so easily ignored. Us carers can usually be ignored because we are not often heard, we just continue to struggle on caring, but rest assured when carers speak, I know carersUK will amplify our voices. 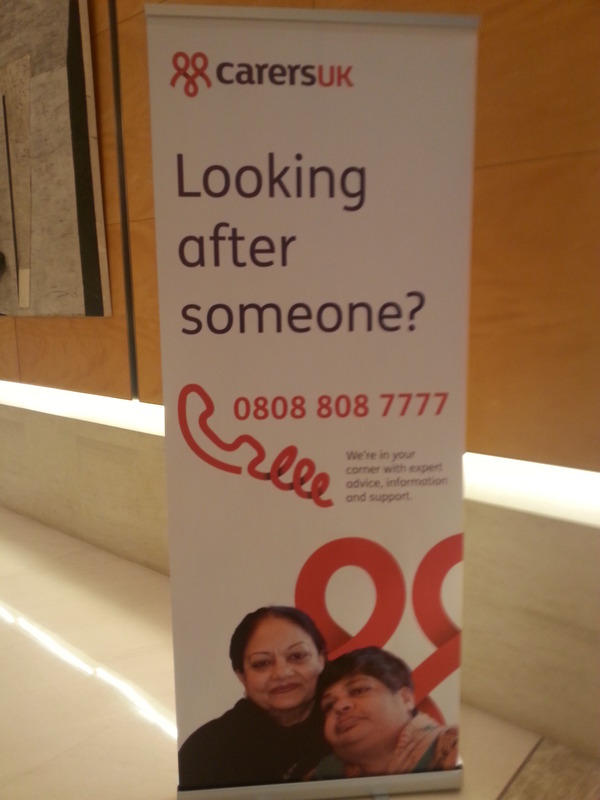 Let our caring voices ring out “We do not have to care alone“. This entry was posted in Carer Events and tagged carers, carersUK on November 14, 2014 by mmckenz11.